Last time I went to the night disco “Kapital” was some years ago, yesterday I went again as my company, Airbus Military, organized a private party for its engineers (with about 1,000 people attending) to celebrate the recent certifications of the A330 MRTT (multi role tanker transport) and the C-295 anti-submarine warfare (ASW). “Madam, if a thing is possible, consider it done; the impossible? That will be done”, this quote from Charles Alexandre, vicomte de Calonne, was used by Javier Matallanos, Airbus Military Senior Vice President of Programmes, to describe what it is being done at the company in the last years. As he stated, we, in Airbus Military, have launched recently the first air-to-air refuelling aircraft in the history of Europe and the only anti-submarine warfare aircraft in the last 40 years in Europe (he quoted the only other European attempt, UK’s Nimrod, which has ended in a cancellation as I posted some months ago, the previous programme is the Breguet Atlantic). Both Matallanos and Miguel Angel Morell, SVP of Engineering and Technology, thanked families and partners of Airbus Military workers for their continuous support: “be proud of your partners, please, know that they are exceptional people as they are used to do the impossible and these examples (MRTT and ASW) we are celebrating today are only two of the many we could give account”. Finally, even though at the time of the speeches the presence of the CEO of the company, Domingo Ureña, was excused due to personal reasons (aside of closing the A400M negotiation in the same day), the CEO indeed appeared at about 23:00 as we saw him at the fifth floor. My kudos to the person who had the idea of organizing this event and to the ones carrying it forward. I look forward to some more initiatives like this in the future. Aerospace and Defence programmes are formidable undertakings full of complex developments, new technologies, changing requirements that make them difficult to manage and keep in control. This is not new and lead Norman Augustine to write his famous “Augustine’s Laws” of which I already wrote a post in this blog. Few months ago I was having lunch with my colleagues while we were discussing about some current defence programmes with sound cost overruns and delays. One of us challenged the rest with the question of what was the programme in the direst situation. 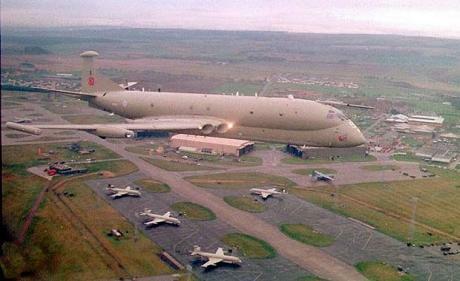 Among the answers came the British Nimrod Maritime, Reconnaissance and Attack (MRA) Mk 4 aircraft programme. The programme called for the upgrade of existing Mk 2 aircraft. The upgrade involves extensive (80%) reconstruction of the airframe, plus incorporation of many new components, including engines, wings, landing gear and general systems, as well as new flight deck and detection systems. The contract was awarded in January 1997. The original order was for 21 aircraft. One of my colleagues jokingly said “that programme is just the perfection of the British A&D business model: charging money to the tax payers without delivering a single aircraft, being paid simply for developing”. We all laughed at the comment, sure. In 2002 the contract was reduced to 18 aircraft. In 2004 the in-service fleet requirement was reduced to 12 aircraft, including the 3 prototypes. By 2008 BAE had only been contracted to for 9 aircraft in addition to the development contract. In 2009 the Defence Equipment Minister announced that it was not necessary to upgrade the 3 development aircraft. When first ordered the programme had an estimated cost of 2 billion pounds; by 2006 the estimation was of ~3.8 billion pounds (+90%). When ordered the first delivery to the Royal Air Force (RAF) was scheduled for 2001, with the Initial Operational Capability (IOC) in 2003, on the delivery of the 7th aircraft. 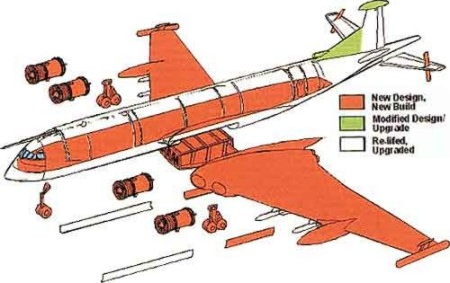 Last week we could read in the British press that the air force chiefs to the Strategic Defence and Security Review had proposed to cancel the Nimrod programme in order save money under current budgetary pressures. The measure would “only” save now 200 million pounds, as most of the development and acquisition costs (~95%) have already been paid. The savings would come in the longer term, due to the saving of operation and support costs related to that fleet. If this cancellation becomes effective, that would be consummation of that model: being paid (180% of initially estimated costs) for developing of a fleet of aircraft (along a period twice as long as initially expected) to end up not having to deliver those aircraft (not 21, not 18, not 12, not 9… not a single one). Aside from this humorous note, that would be a very sad happening for BAE engineers, managers and technicians.